One of the last rooms to receive a makeover before we moved out of our old house was our master bedroom (you can see our old room here). I really loved that room, but when we moved into our new house the layout was different and our room was much larger, so everything didn’t transfer over as seamlessly as our boys’ bedroom did. Instead, the room got put on the back burner and was neglected for over a year. (You can see it shortly after we moved in here. Not much has changed.) I’ve finally decided to turn my attention to creating a peaceful oasis in our bedroom where I spend a lot of time lounging and rocking Jonah. 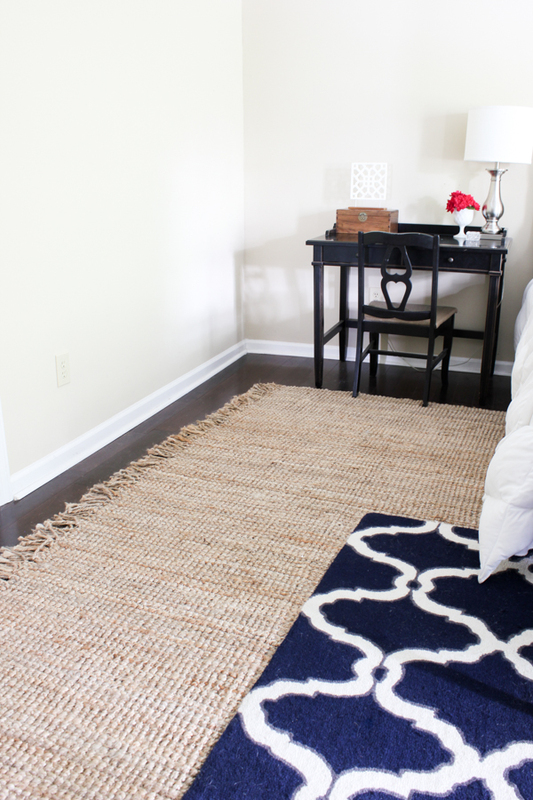 We finally just added a new jute rug to warm up the space and it has motivated me to finish up the space sooner rather than later. 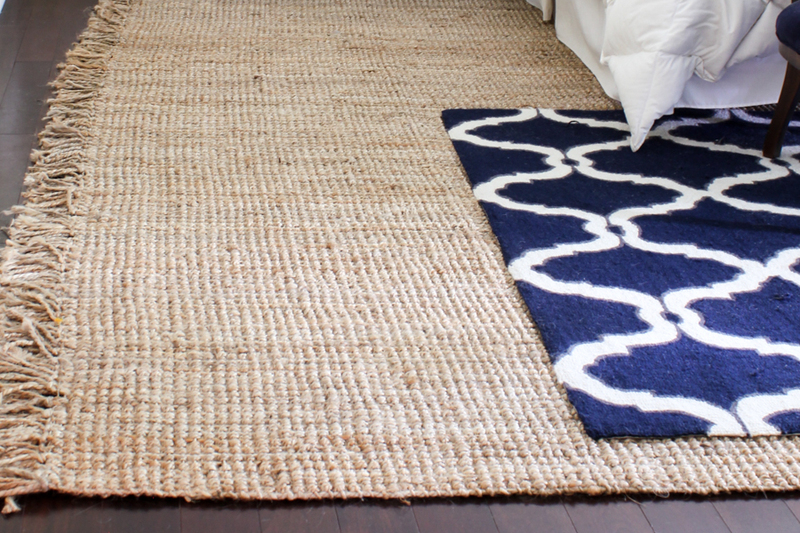 We chose the Maui Chunky Loop Rug in Beige from Rugs USA in a 9’6″ x 13’6″ size. And yes, the floor needs to be swept and mopped, but we’re all friends here so no judging, right? 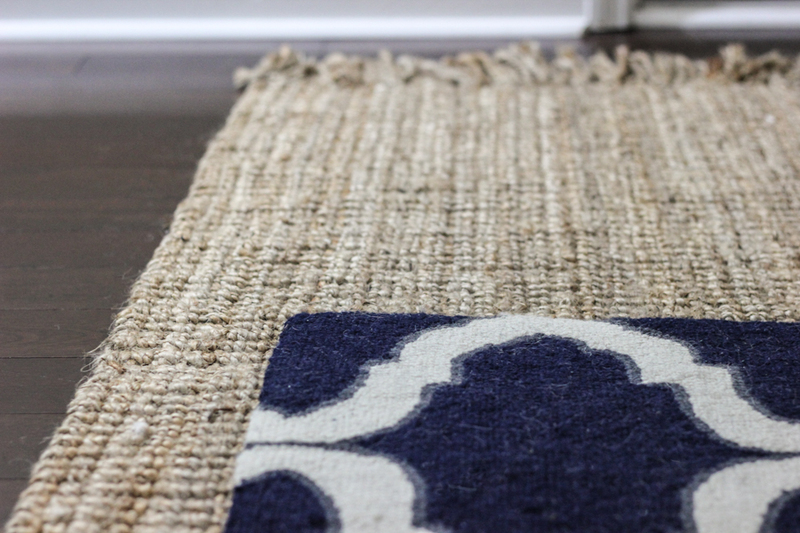 I love the look of the natural fiber rug against our dark wood floors. I knew that natural fibers wouldn’t be overly plush and cushy underfoot, but we have a similar rug in our dining room and it has become softer over time, so I’m hoping the same will be true of this one. Plus, the other rug layered on top provides some added softness. Either way, it works well in the space and I’m very happy with it. 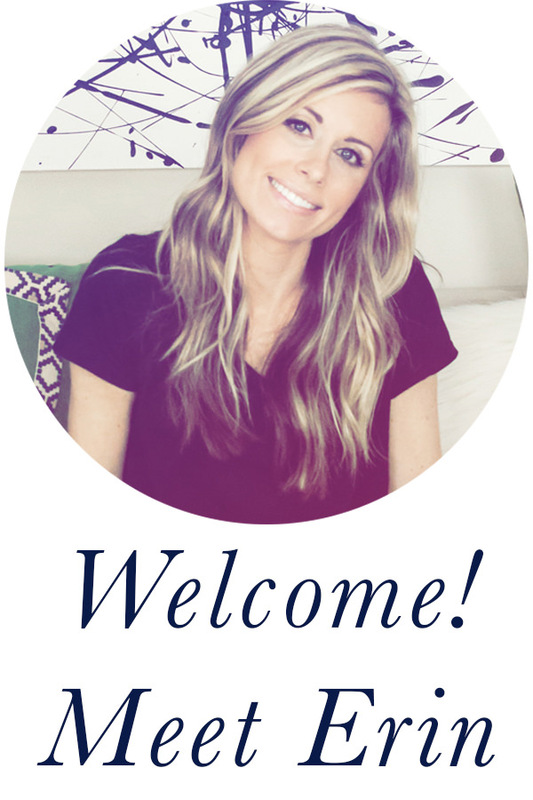 Rugs USA is one of my very favorite sources for rugs, and they always have amazing sales going on. 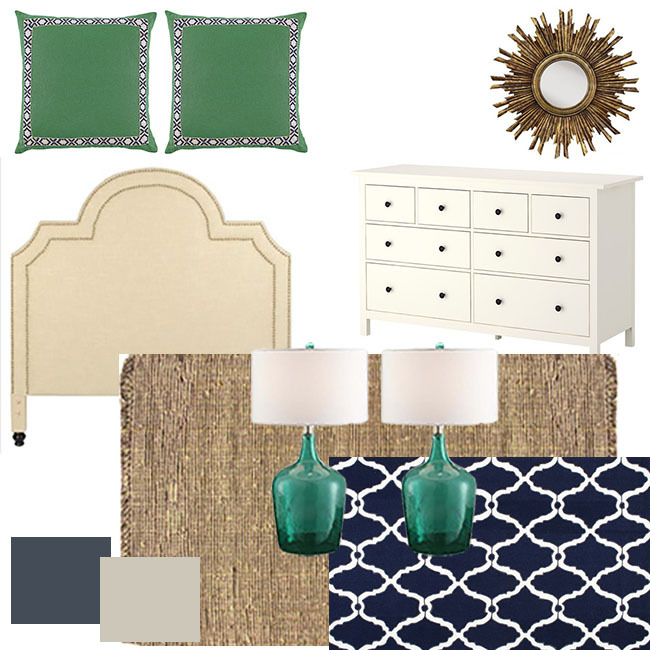 As for my plans for the room, I’m going to stick with the navy but I also plan on adding some Kelly green/emerald accents. First up, paint! What’s your favorite paint color that goes well with navy decor? I’d love to explore all of my options. Disclosure: I received the rug for free from Rugs USA, however as always all opinions are my own. 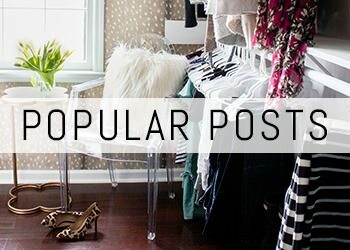 Love your inspiration board. This is going to be gorgeous. LOVE where you’re going with this! I couldn’t make up my mind on paint either. Which is why I have two deep blue walls and two soft white walls. The way the room sits, it actually works really well. The window wall and door wall are white, and don’t get direct sun. The blue walls are across from the windows where the bed and dresser are, so the light catches the blue and changes the mood of the room depending on the time of day. I went with bright pops of color with the art…corals and deep blue/teals, with a hint of yellow in some kiddie art I popped up on the gallery wall. It all works, and it’s finally (slowly) coming together. I can’t wait to see where you are going with this one! Thanks Julie! Great idea. I’m sure your room is beautiful! Love the idea board to organize thoughts. I need to give that a try for my next room makeover! I just painted my loft area Benjamin Moore Van Deusen Blue and I love it. It’s navy without being too dark. Thanks Michelle! I’ll have to check out that paint color. 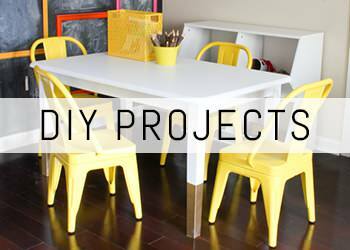 DYI on the cheap? That rug is $1,440 not cheap by any means! Love where you’re going with this design, especially with that rug and the two lamps on your mood board. Looking forward to the finished product!